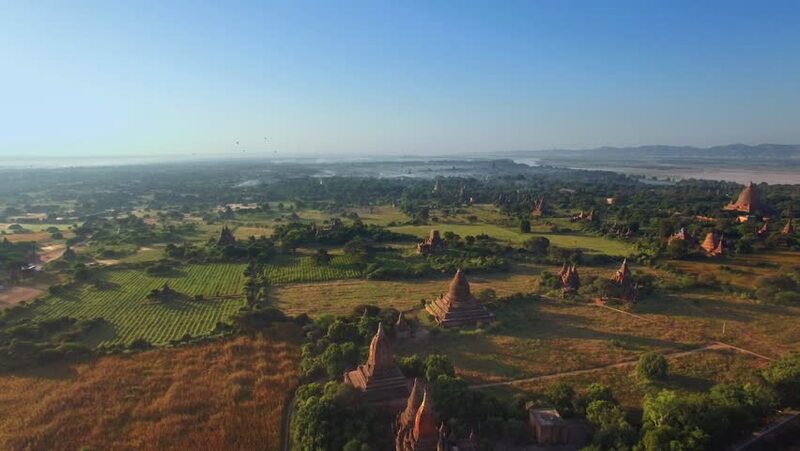 Bagan, Myanmar (Burma), aerial view of ancient temples and pagodas at sunrise. 4k00:11Aerial view of beautiful autumn sunset with a lot of clouds. Amazing colors and shadows of the clouds on the land. Landscape of village in Sumadija near the Kragujevac. hd00:19Alapaevsk, Russia - 17 July 2012: Small city in Urals, in which relatives of Russian emperor were executed. Old houses on background of railway and river. 4k00:24Bloomfield Aerial v5 Flying over lake and neighborhood. hd00:28Rural landscape seen from the bird's eye view. Flight over the Chodelka River and fields.